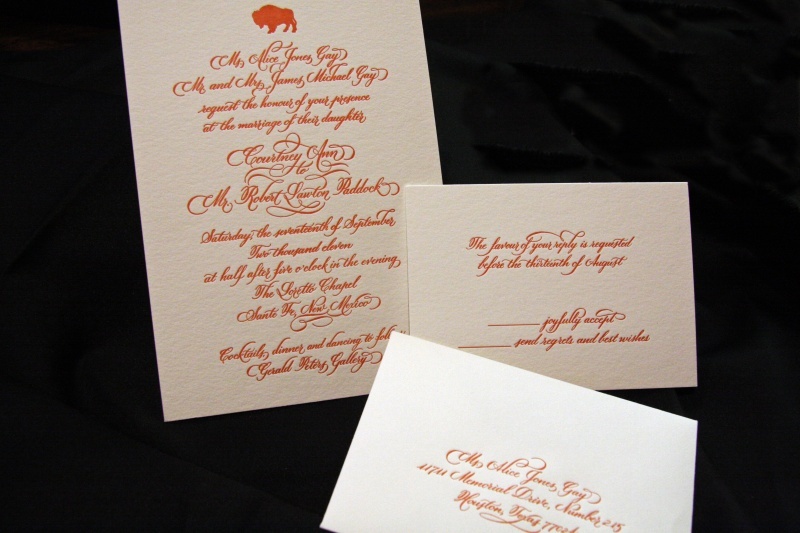 Here are a few shots of the letterpress wedding invitations that we made up for Courtney & Robert’s amazing Santa Fe wedding. 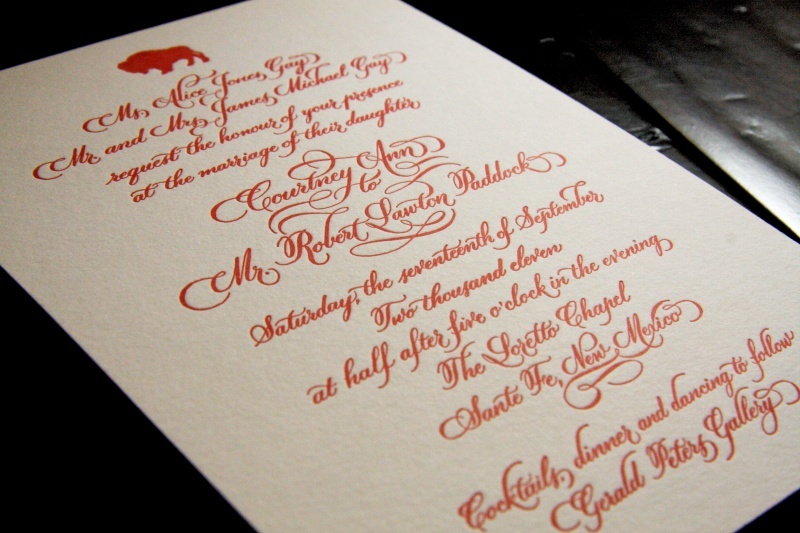 For these letterpress wedding invitations, we went with a warm orange ink on a cream colored paper. 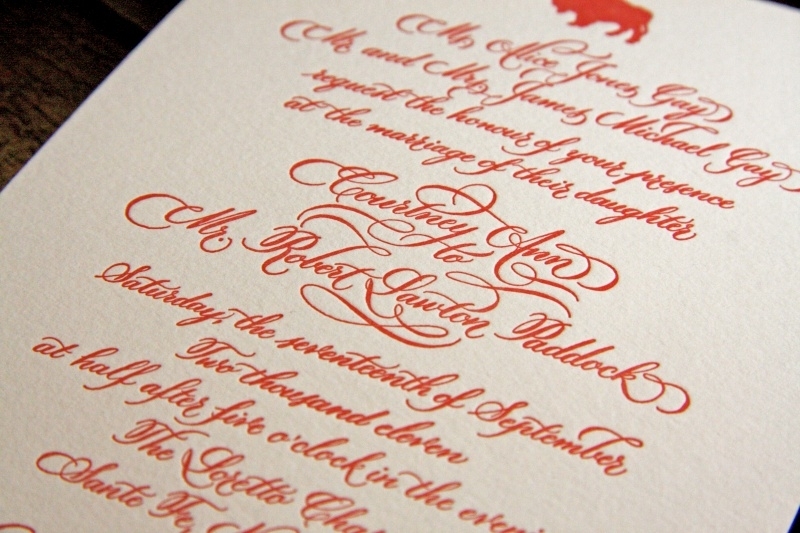 This ended up really making a nice contrast between the type and the page that is a joy to look at. In addition to the letterpress wedding invitations, we also made these cute matching letterpress reply cards and envelopes!